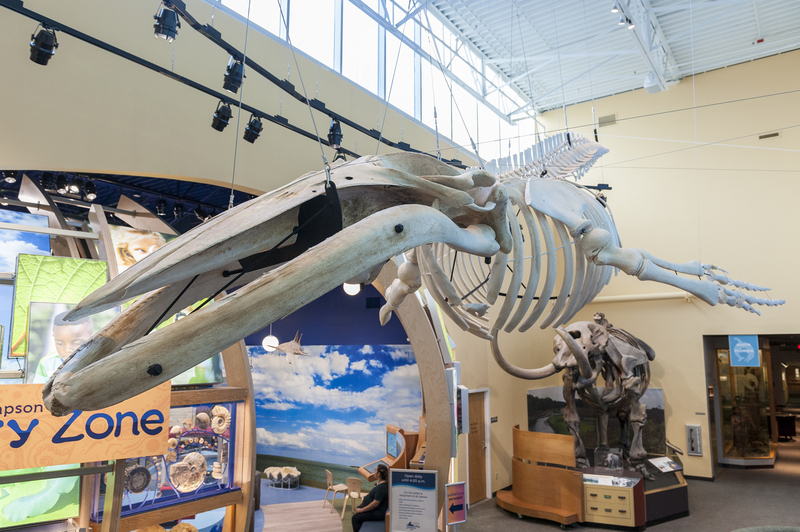 This gallery exhibition offers guests an up-close look into the lives of humpback whales and the detailed process of rearticulating Humphrey, the Museum’s humpback whale skeleton that hangs in front of the Discovery Zone. Humpback whales were once on the verge of extinction, but thanks to global conservation efforts their population numbers are slowly increasing. Come and learn about these mysterious and majestic creatures from the inside out. 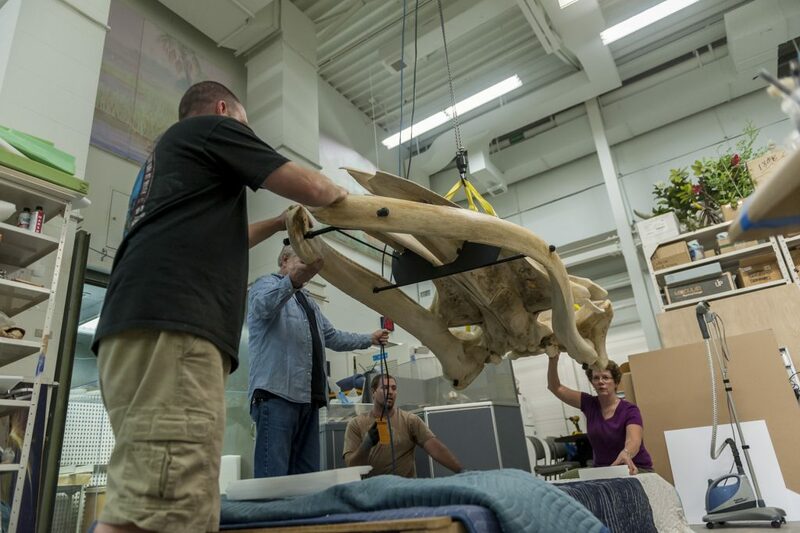 “Hope for Humpbacks” shows guests the process of piecing together 264 bones, five of which were 3-D printed, to make Humphrey, the Museum’s humpback whale skeleton. ©Florida Museum photo by Kristen Grace. An interactive touch-screen table displays videos of whales, whale songs and pictures from the Museum’s rebuilding process. 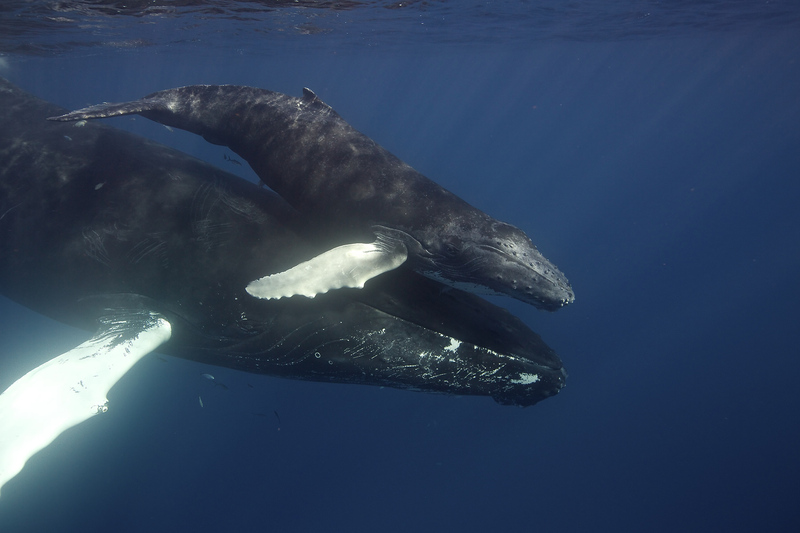 Observe large, high-resolution photographs capturing humpback whale behavior up-close. 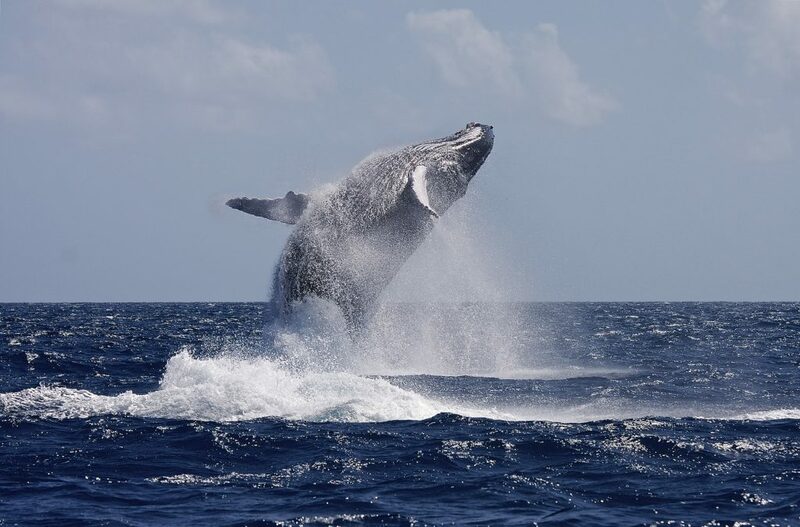 Only male humpback whales sing, and their songs are unique to groups within a large area. Humpbacks in the North Atlantic Ocean sing a different song than those in the North Pacific Ocean. Humpback whales can live 50 years and grow to be up to 60 feet long; Humphrey measures in at 26 feet and he’s just a juvenile! Seven people spent about seven months assembling Humphrey, whose skeleton was missing five bones that were 3-D printed. Humpback whales have unique patterns on the fins of their tail (flukes) that can distinguish individual animals, like fingerprints. 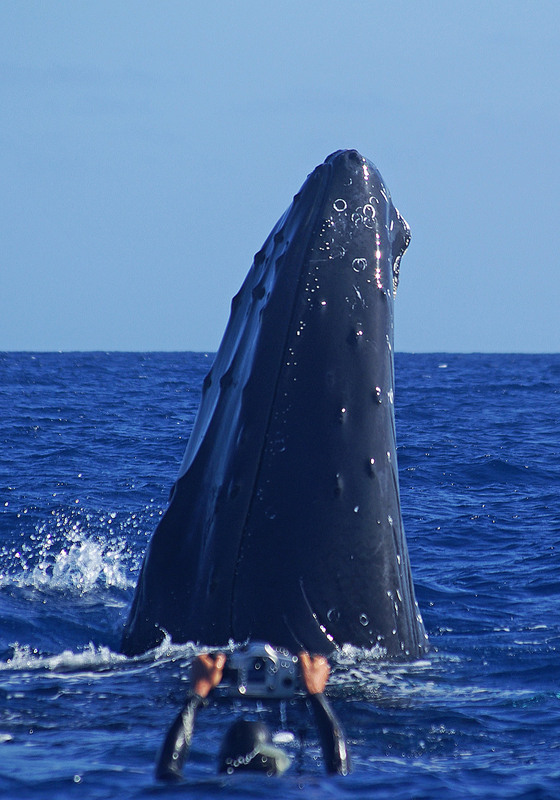 Whale feces is rich in nutrients that are scarce in surface water and is a key food source for plankton. These plankton are food for other sea creatures and play a crucial role in absorbing carbon dioxide from the atmosphere. 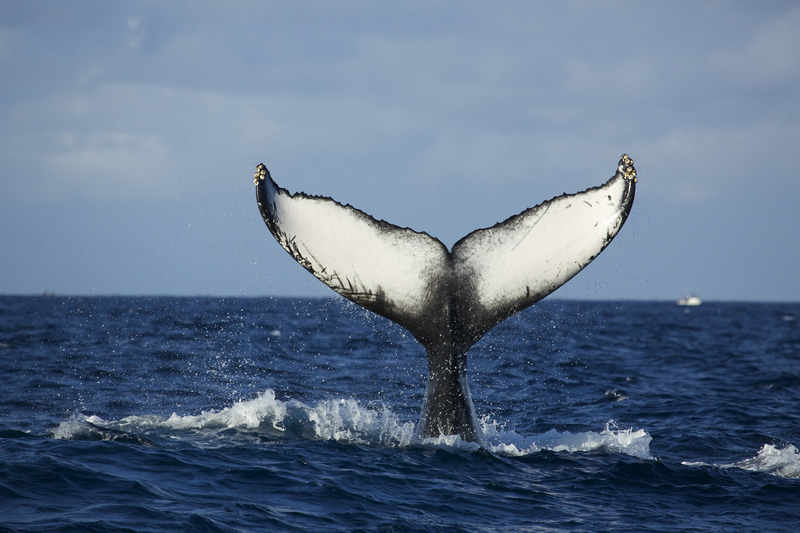 Whale poop changes the climate! Photographs courtesy of Conscious Breath Adventures. Rearticulation of Humphrey led by Museum Fabricator Mike Adams.